Before selecting the size of a variable frequency drive (VFD), it is necessary to generally know the working environment, the target work and if the performance and functions are satisfied. Based on this information, choose a suitable motor size and a variable frequency drive or a vector VFD to control the AC motor. In terms of the hardware basics, the same concept can be applied to both general purpose VFDs and vector VFDs. The formula to obtain the driving force differs depending on horizontal or vertical (up-down) movement. Vector variable frequency drives frequently perform acceleration/deceleration. Select the most suitable capacity size in accordance with the movement of the machine. To make a right selection, check data on the machine side and the operation pattern beforehand. The following shows the steps of the selection. (1) Find the load torque of the machine. 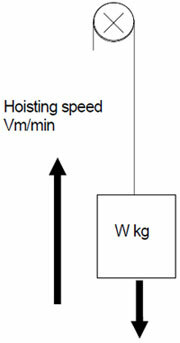 Load torque: Force that is required to move a load. (2) Find the inertia moment (J) of the machine. J: Value that indicates how much difficult to move or stop an object. It can be compared to a load on the back of a truck. (3) Find the operation pattern of the machine. Operation pattern: One cycle of machine operation status derived from travel time and stop time. The gray area below indicates travel amount. When the top speed is V [mm/s], travel time is t [s], acceleration and deceleration times are respectively tpsa [s] and tpsd [s], travel amount is L [mm], and tpsa=tpsd, their relation is as shown in the following formula. (4) Tentatively select a motor. Tentative selection: Choose a motor that can be the most suitable in reference to the load torque and J. The rated torque of the motor must be larger than the load torque. (5) Calculate a torque with the motor tentatively selected. Torque required for accelerating to a constant speed from the start. Torque required for keeping the load moving at a constant speed. Torque required for decelerating to the stop. Judge the heat availability of the motor. Using the motor current values obtained in 1) to 3) and the period of one cycle, obtain the equivalent current with the following formula to compare with the rated current. The motor size must have the equivalent current that does not exceed the rated current. 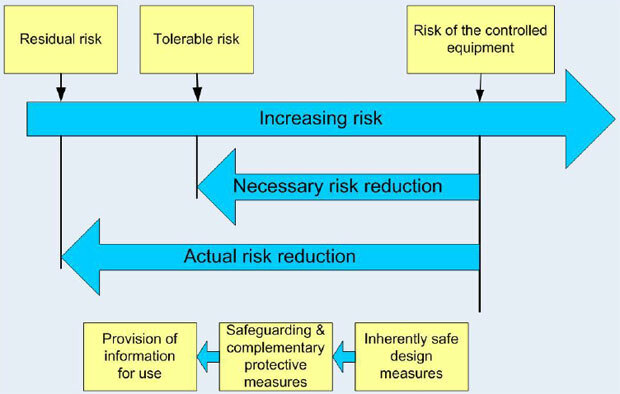 Complement: When, as a feature of variable frequency drives, driving multiple motors with one variable frequency drive, select motors so that a value of (total current of motors) multiplied by (approximately 1.05 to 1.1) does not exceed the rated current of the variable frequency drive. (6) Check the necessity of a brake resistor for the regenerative brake. Clearing (1) to (6) completes the steps of a motor and variable frequency drive sizing.